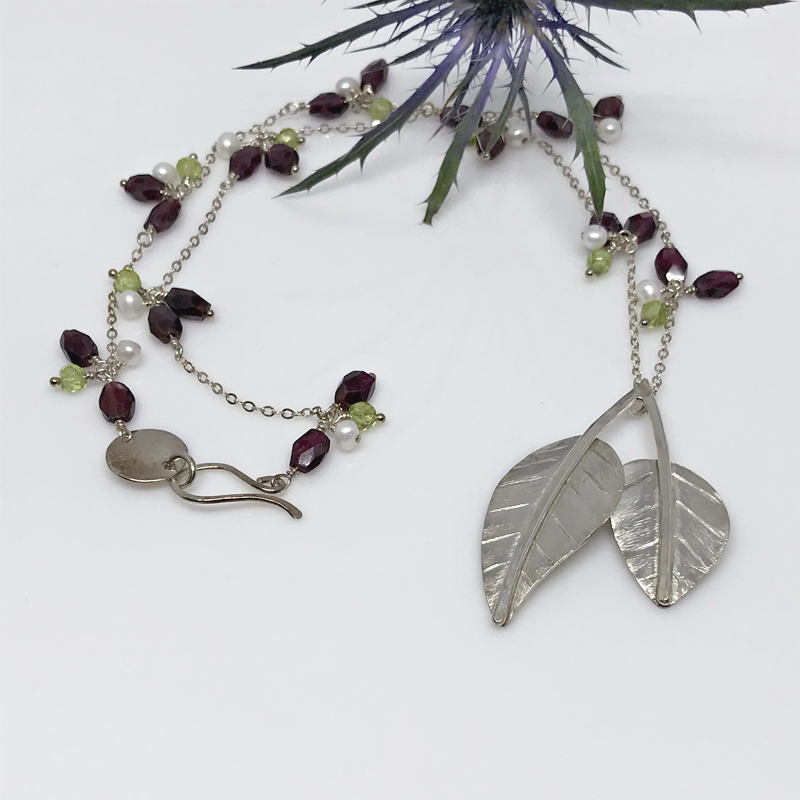 Make a statement with this beautifully hand crafted Argentium silver double leaf and gemstone necklace. 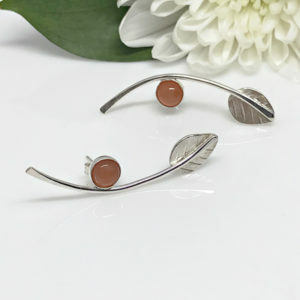 Easily go from day to evening with the understated beauty of silver leaves combined with the luxe beauty of gemstones. Double leaf drop necklace. 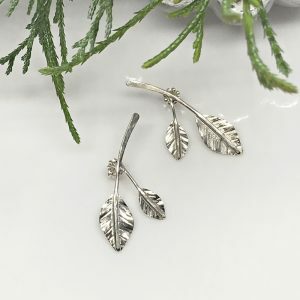 Two pendant style leaves, hand forged from Argentium silver, fall gently from delicate silver chain. The double leaves have been engraved and brushed in such a way to resemble the veins and texture of actual leaves. Exquisite garnet gemstones as well as translucent peridot and lustrous petite pearls adorn sections of dainty silver chain. They’ve been clustered together to create a marvelous color combination. 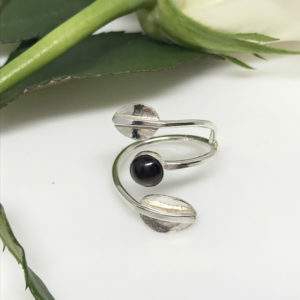 The clasp is also hand forged and hammered from Argentium silver. 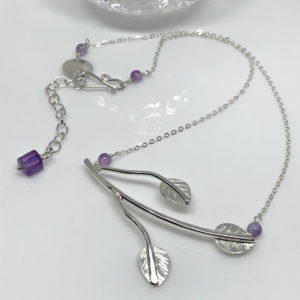 Not only is this drop leaf pendant perfect for a night out, but it’s also a great casual necklace. The length is 16 inches with the pendant adding an extra one and three quarter inches.